Face-swapping technology has revolutionized the way we take selfies. The dominion of vintage and beauty filters was ended by face swapping filters through some of the best face swap apps for iPhone and Android, so it’s about time you master this art as well. Believe me, it’s not rocket science. In face swapping, you basically interchange your face features with another person in a photograph, which mostly results in a funny photo. You need to make sure that your face is fully visible in the frame, to be interchanged with another person. You need a face swap app for either an Android or iOS device. If you have been an avid user of Snapchat filters and features, MSQRD will be easy for you. It competes with Snapchat in being one of the best face swap apps for iPhone. You can add different animated effects to your face in real-time. 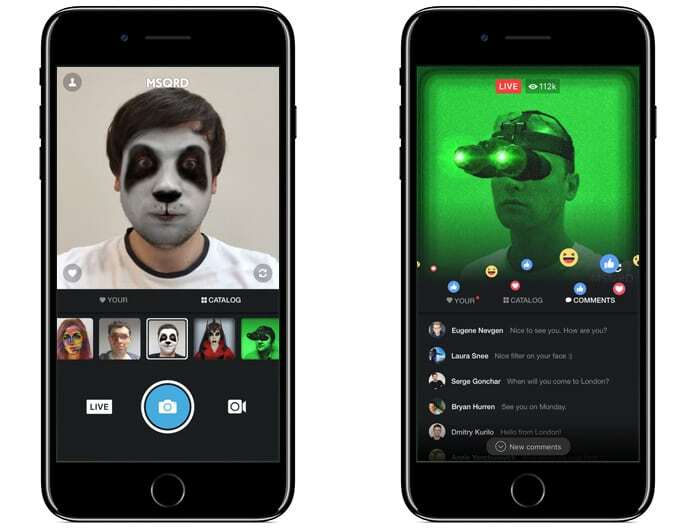 Take selfies and videos using these features and have fun with your friends! Facebook has recently acquired the MSQRD app, so any recent developments related to the app are pending from their end. Download it while you still can on your Android and iOS device. 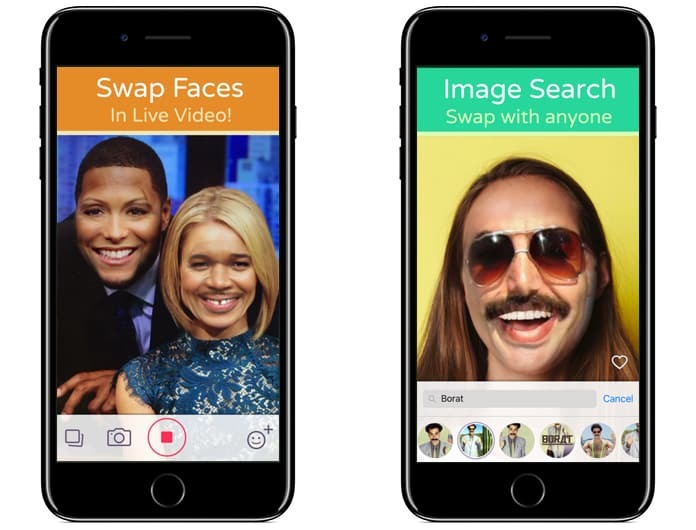 Face Swap Live is one of the best face swap apps for iPhone, being downloaded by hundreds of people around the globe. 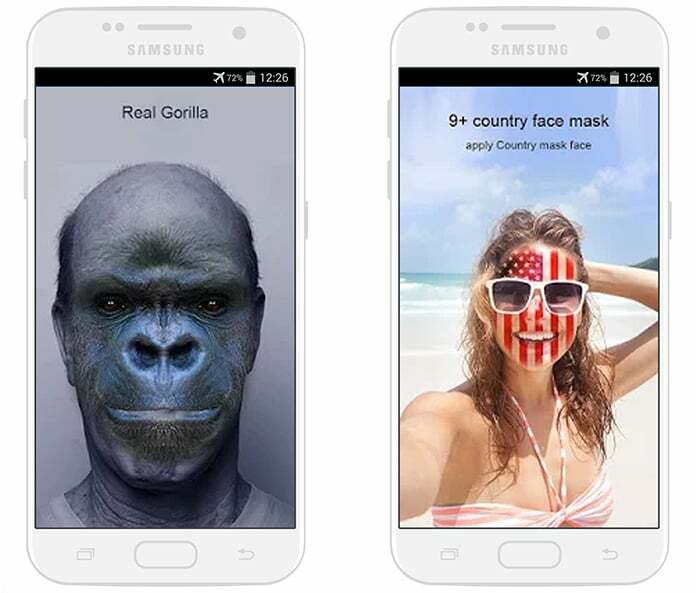 You can swap faces with people in real-time using the super-fast detecting features of the app. It works simply: just bring your friend along with you in the camera frame and tap on your faces to help the camera detect faces. Next thing you know, the faces are swapped! This app enables its users to record whole videos while swapping faces. It will work perfectly if you and your friend have their faces clearly in front of the screen. Get it for free on your iOS device because it is one of the best face swap apps for iPhone (Android app coming soon). Photo Face Swap is also one of the best face swap app for iPhone and Android. However, it works better with perfectly-aligned faces in a frame and well-lit photos. The auto detect doesn’t work like magic, so you need to give the app its due time to detect faces. You need to give this app a shot, since the face swap process is hassle-free in the app. Photo Face Swap also has an additional Face Bomb Effect, which can place the faces of one person on every person in the photo. Install it on your Android device. 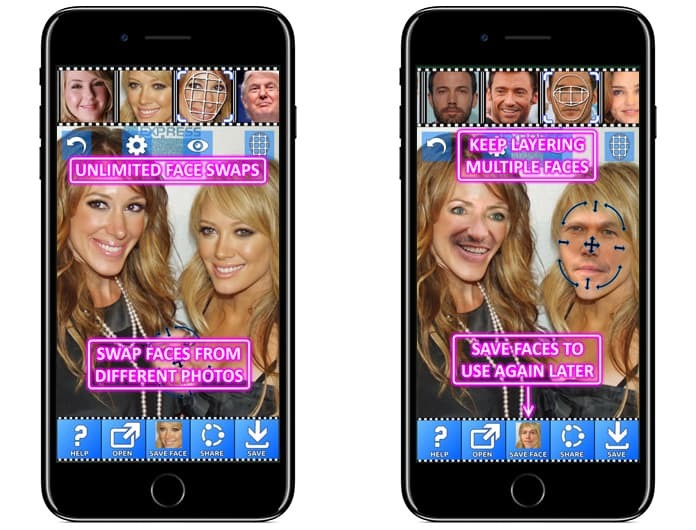 iOS users will have to wait to get one of the best face swap apps for iPhone. Face Swap Booth is the perfect app to use if you want a wide variety of faces to switch appearances with. The app has a cool feature which lets you add faces in addition to automatically detecting faces in a frame. This enables the user to create a stock of faces to choose from. 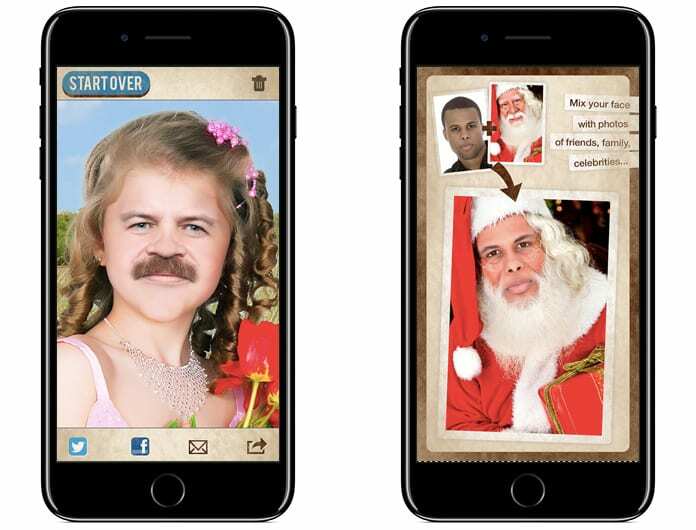 iPhone users will love it, as it is one of the best face swap apps for iPhone. Face Swap Booth also has a collection of celebrity faces you can use. There are advanced features in the application as well, like photo editing and face features like a crown, sunglasses, etc. The app is available for free, but can also be upgraded to the full premium experience for $2.99 a month. By upgrading to premium, you can save your edited photos in the app and a wide variety of filters and features in the app. Premium version can help in watermark removal as well. Moreover, the premium version is ad-free. Download Face Swap Booth for Android and one of the best face swap apps for iPhone iOS here. Face Swap is a very cool app because it is easy to use and is considered one of the best face swap app for iPhone. The app has an auto-detect feature which makes it easier to detect faces in a single frame, to swap. However, some users faced difficulty with auto detection. The trick with swapping faces in a frame is to stay as still as possible until the camera can detect faces. Sometimes, even that takes too long. In that case, you can manually detect the faces to swap. Be a little patient and let this cool app do the magic to your photographs. Install it on your Android device for free. It will soon be launched on iOS for those who want the best face swap apps for iPhone. MixBooth is an app which doesn’t swap faces. Instead, it takes two faces and merges them into one. That also gives the photograph a funny touch. Imagine the photograph of a man with a mustache and a girl with dreadlocks rolled into one hilariously edited piece. 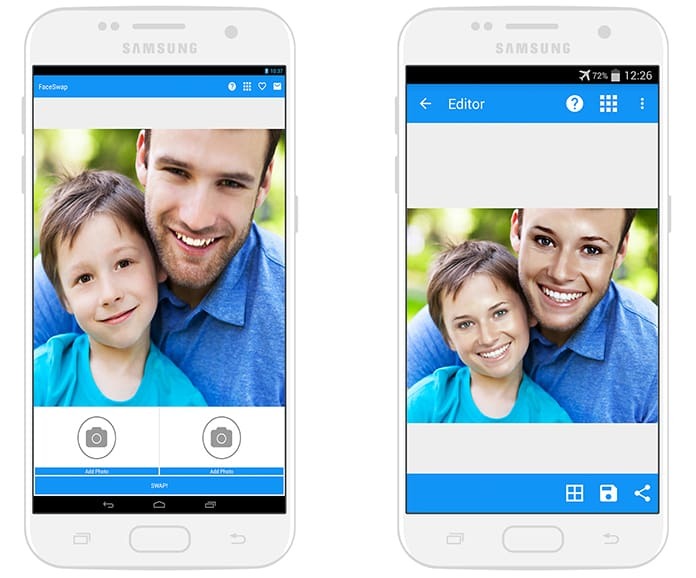 You can add photos of the people you need to edit, and the app will take it from there. People also mix their faces with faces of celebrities and famous personalities to see the difference, which is very cool too! If you are looking only for the best face swap apps for iPhone or Android phones, install MixBooth on your Android and iOS device. All the applications mentioned above are fully functional, best face swap apps for iPhone and provide many cool features. However, it is up to you to decide which one works perfectly for your device. 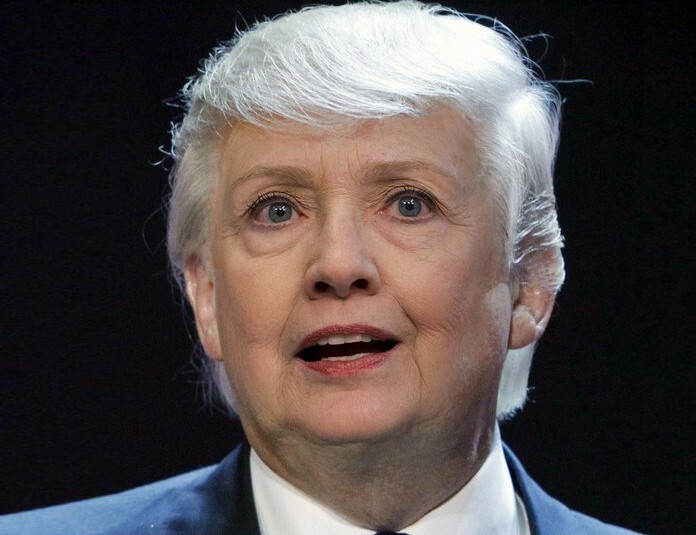 Some apps are just the best face swap apps for iPhone while some run with lightning speed on Android. If you are looking to have some fun with friends through a face swapping app, the apps mentioned above should be your priority downloads. Try some of these out and let us know your opinion and experience in the comments below.